Another great piece of chess opening theory in this series by IM John Watson. Again against 1.e4, one of the most used replies is 1. 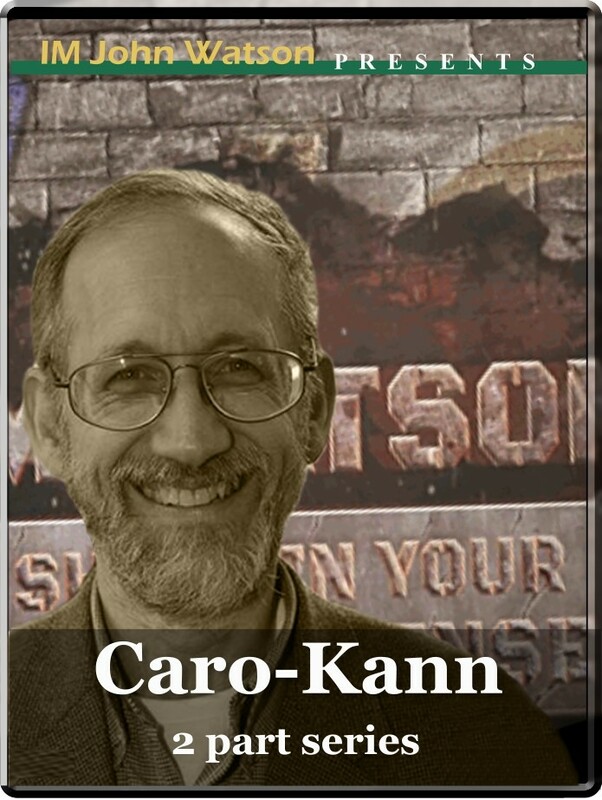 … c6, the Caro-Kann. The Caro–Kann is a common defense against the King's Pawn Opening and is classified as a "Semi-Open Game" like the Sicilian Defense and French Defense, although it is thought to be more solid and less dynamic than either of those openings. It often leads to good endgames for Black, who has the better pawn structure. Watson explains this famous Defense with his usual pragmatic approach, to help you understand all the main motives of the opening. Caro-Kann (2 part series) Another great piece of chess opening theory in this series by IM John Watson. Again against 1.e4, one of the most used replies is 1. … c6, the Caro-Kann. The Caro–Kann is a common defense against the King's Pawn Opening and is classified as a "Semi-Open Game" like the Sicilian Defense and French Defense, although it is thought to be more solid and less dynamic than either of those openings. It often leads to good endgames for Black, who has the better pawn structure. Watson explains this famous Defense with his usual pragmatic approach, to help you understand all the main motives of the opening.